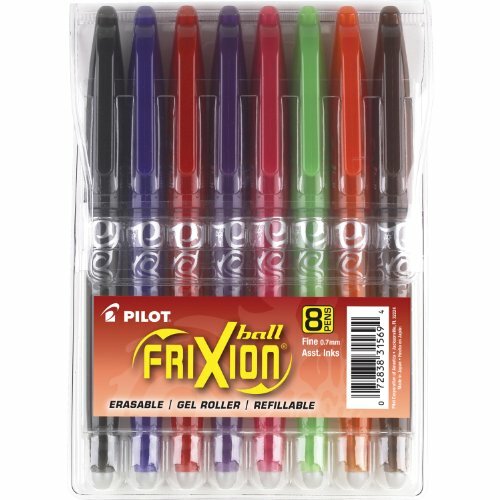 Erase and rewrite repeatedly without damaging documents! 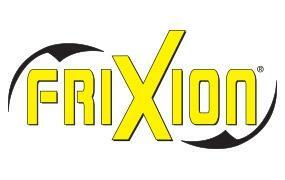 With FriXion no one will know it wasn't perfect the first time. 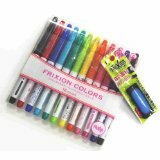 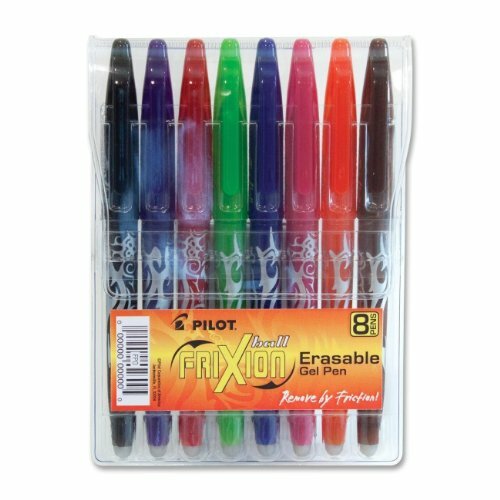 FriXion Erasable Gel Pen allows you to erase and rewrite repeatedly without damaging documents. 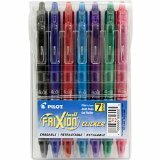 Thermosensitive, gel ink formula disappears with erasing friction of rubber plug eraser on the pen. 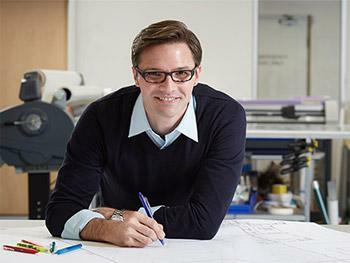 Erasing leaves no residue or debris. 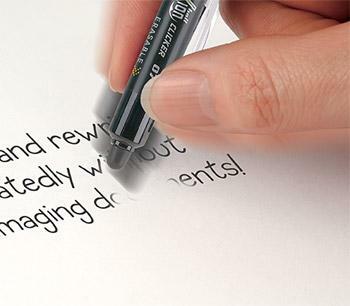 Pen can write on the same spot that has been erased. 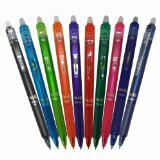 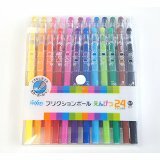 Gel/rollerball pen delivers smooth writing gel ink and is not recommended for exposure to extreme temperatures or for signatures, examination papers or official documents where writing needs to remain permanent. Gel pen also earned the prestigious Good Housekeeping Seal.